In 1959 a group of Dutch and Belgian brothers left for what at that time was South West Africa and now is called Namibia. They made a significant contribution to education in the country. Still now the (former) CMM schools in Windhoek and in Sambyu-Rundu are quite well known. Right now there are three communities in Namibia; two in Windhoek, and one in Tses. 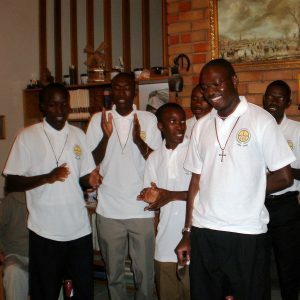 The number of vocations in Namibia is diminishing, but from the neighbour countries, such as Zambia, we receive more and more postulants. The last Dutch brother went back to the Netherlands in 2016. At the moment the brothers have no institutions in Namibia. 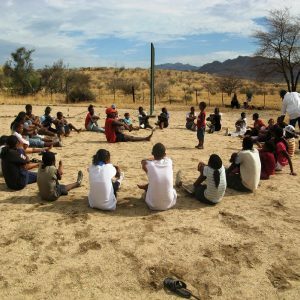 The young brothers of Namibia are nearly all still in formation; besides their studies, they are also involved in pastoral work and in church building. The brothers in Namibia have a real tradition in education. In 1962 the brothers started a school in Windhoek: St. Paul’s College. Since 1991 this school is led by laypersons. However, the brothers still feel involved in this school. In 1995, the brothers started a secondary school in the north of Namibia, in Sambyu. Also this school was taken over by laymen in later years, but some brothers continued teaching at this school. At the end of 2013 their involvement in the school stopped and the community in Sambyu was closed. In 2014, a new community was launched in Tses. The brothers are involved in a secondary school. It is expected that in the long run the brothers will be in charge of this school. 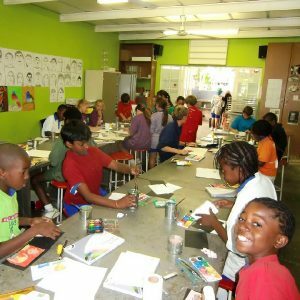 In October 2010, the congregation took over the daily management of the ‘Children Education Centre’ (CEC) in Usakos, a project for the shelter for abandoned and neglected children. This project was started in the 1990s by a Dutch couple. After a year of running the project the brothers had to stop; there were at that moment not enough capable brothers to run the project. Currently the congregation is only involved in the administration of the project.